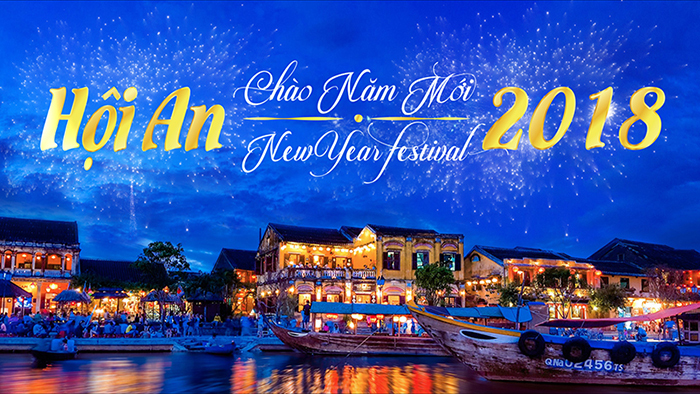 In order to review the year 2017 and welcome the promising new year 2018 as well as diversify entertainment activities for the people and tourists at the end of the year, Hội An city is holding the event "Hội An New Year Festival 2018" from December 24th, 2017 to January 2nd, 2018 at An Hoi Sculpture Garden with a range of interesting activities such as folk art performances, food service, photography exhibition “Quang Nam Tourism" 2017; Spring Dance Festival and Hội An band exchange. Especially, in the evening of December 31st, 2017, Hội An Ancient Town will be reappeared as the town scene dated back to the early 20th century. After that is the events of “Best tourist agencies for Hội An 2017 "and" Welcome the 2.8 millionth international visitor to Quang Nam province. In addition, there will be special performances such as: art performance, dancing, flashmob, lucky draw, masquerade,... at the transition moment between the old and the new year , everyone can hold hands together in the mood of friendship to pray for a happy and peaceful new year. "Hội An New Year Festival" is believed to be one of the most memorable impression awaiting you to explore in the beautiful city by Hoai River. Especially, at 9pm on January 1st, 2018, the event “Welcome the first tourist group to Hội An Ancient Town in 2018” will be held at Japanese Bridge Area.